When Cindy retired and moved to Seattle, she promised to come back to Sacramento and be a “guest” on another of our adventures. For quite awhile we scheduled Hometown Tourist adventures around Cindy’s trips back and forth as she and her husband searched for a new house in Seattle and got ready to sell theirs in Fair Oaks. We’ve lost track of how many times Cindy flew in and out of Sacramento since then. Enough that she could write and illustrate the Airport Art blog entry! Cindy, Carol and Janet enjoyed many outings together as Hometown Tourists. We’ve had different “guest” Hometown Tourists along the way. Cindy’s coworker and friend Guy accompanied us on the tour of the tall ship Hawaiian Chieftain. Janet’s friend and coworker Jackie came along with us on the Segway tour of Midtown and is now an official Hometown Tourist. We know you will want to meet Jackie Her bio will be posted soon! For this most recent excursion, the four of us met at Folsom’s historic Old Town, the location of several prior Hometown Tourist adventures. But we realized that most of our favorite places were closed on Mondays. 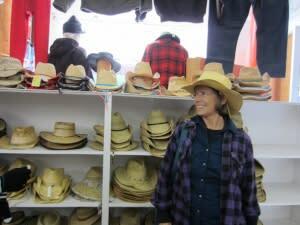 Cindy had visited Historic Main Street Placerville many times in the past and suggested that the rest of us would find it an interesting locale. 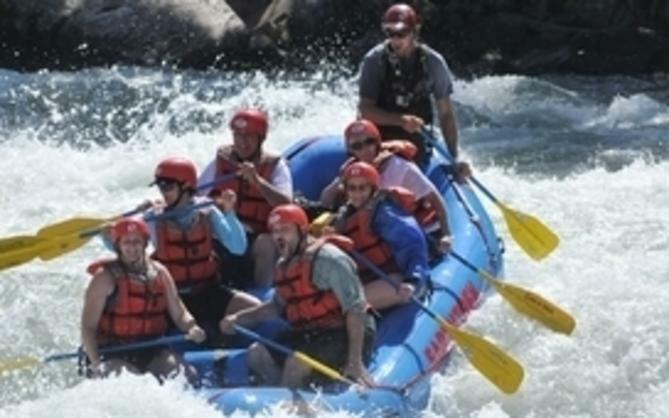 We all agreed, because we all knew we’d have fun wherever we went! Placerville. 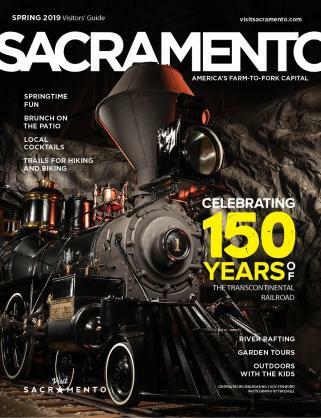 Just up the hill off Highway 50, only 46 miles from downtown Sacramento. Many of us drive by on our way to Apple Hill or South Lake Tahoe. With Carol at the wheel, we were off to our outing. 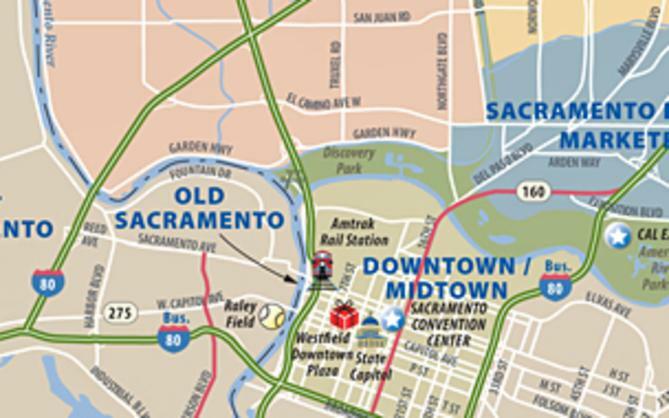 Cindy, now the tourist from Seattle, got to introduce Sacramento&apos;s Hometown Tourists to one of the special gems in this most interesting and historic area. 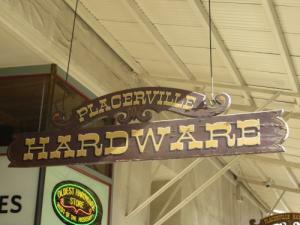 The Placerville Hardware store is the longest continuously operated hardware store west of the Mississippi since 1852. In Cindy&apos;s opinion, “The hardware store is worth the trip by itself.” Some of the things you will find there are tools, paint, housewares, gold panning equipment, and garden art. Janet bought two pair of outdoor work gloves, a solar-powered color-changing LED candle, and several souvenir smashed pennies. 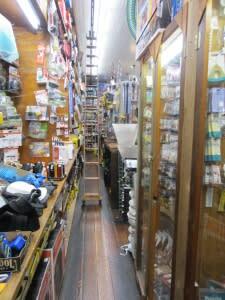 As soon as you step in the door, you will know that Placerville Hardware Store is a special place. It’s more than a tourist stop, it is an essential part of the community. 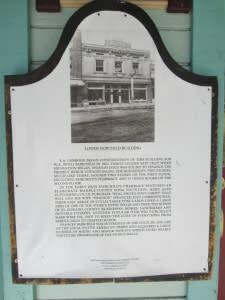 Many of the stores and several areas along Main Street in Placerville feature historical marker plaques. An entire visit could focus on these! Especially if one use their iPhone to look up more background information on each historic site. Arian&apos;s Supply Sergeant store offers military, camping, work and other outdoor gear. We had so much fun trying on hats there. How long did we entertain ourselves with that? For all the antique hunters out there, Placerville’s Historic Main Street offers a treasure trove. Similar to the hardware store, the narrow frontage is deceiving the store goes back, way back, farther and farther. Wander in, look around; before you know it, you’ll acquire a new prized possession! Placerville’s Main Street is home to art galleries the equal of any Mother Lode town. Galleries cater to all mediums, paintings, sculpture, pottery, glass or jewelry. You never know what you will discover until you walk in and explore. Dedrick’s Main Street Cheese is a small shop packed with all kinds of gourmet edibles. They offer sweet and savory goodies from around the world: meat, pâté, jerky, pasta sauces, condiments, snacks cookies, chocolate, olives, spreads, and baked goods. 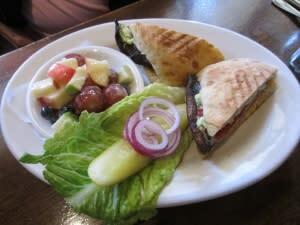 We decided to have lunch at the Heyday Café; we had salads and sandwiches. The food was excellent; the service good humored and attentive. We enjoyed this opportunity to pause and reflect on everything we’d seen so far. It was a real treat just being together and catching up. Janet, Carol, and Jackie were reassured to know that Cindy and Laurence are currently exploring and discovering museums, parks and other neat places in and near their new hometown, Seattle. 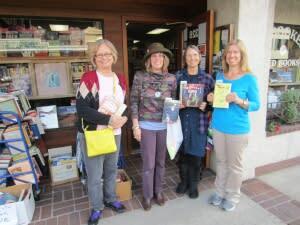 Knowing that we all are avid readers, Cindy would not let us leave town without visiting The Bookery. They’ve been in business for 33 years. They have a vast collection covering about any topic you can dream of. The book store includes a resident dog and cat to greet you. In the end, we each found just that perfect book, as you can see from our smiles in the photo taken by Bookery staff. So many stores, so little time! We could not go into all of them in one afternoon. Some that are on the list for next time include: Western Fashion, The Man Cave, Farm Table, Ambiance, and Ancient Gold. Two of Cindy’s favorites deserve special mention. Family owned and operated business for over 125 years, since 1888. Purveyors of classic Levi jeans, Pendleton wool clothing, and other brand-name sports and casual wear. Cindy is an avid knitter and she made sure to point out there is a wonderful quilt and yarn shop. Usually Cindy can&apos;t resist wandering through, but today, with limited time, we lingered only briefly at the window on our way by. 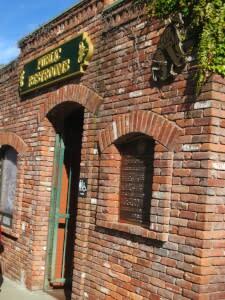 Cindy reports, she and Laurence, on their many trips, have never had a bad meal in Historic Main Street Placerville. Whatever you like you&apos;ll find there. Cindy highly recommends ZPie. Savory frozen pot pies. Chicken curry, rosemary lamb, steak cabernet, and more. Cindy confirms that Old Town Grille has wonderful burgers and hot dogs if that is what you are in the mood for. So this visit to Placerville’s historic Main Street was a trip down memory lane for Cindy, and an introduction for the Sacramento Hometown Tourists. We discovered something we knew was there but had never taken the time to explore. We are glad we did. Whether you are visiting, traveling through to or from Sacramento, stop by some time to explore Historic Main Street Placerville. Whether spur of the moment, or planned in advance, you are sure to find something of interest. Don&apos;t believe us, check out the reviews on Yelp! Explore what there is to see at this link. Spark the crafty side in you—check out the art or browse the yarn store.